On October 2nd, B2OA gallery in New York will host the official booklaunch of Kami Garcia's new novel from the Legion Series. Book II: Unmarked. Not only did Chris provide several exclusive works for the book, he also features as a character in the novel. The works will be on display on this one night only event. Read the Hi Fructose article here. 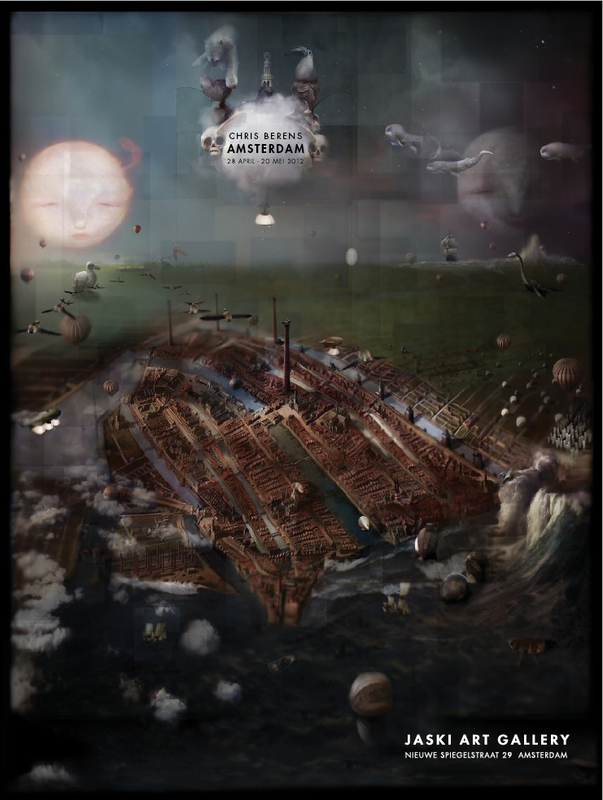 Tonight, the Chris Berens documentray will be broadcast on Dutch, Belgian and Japanese television. 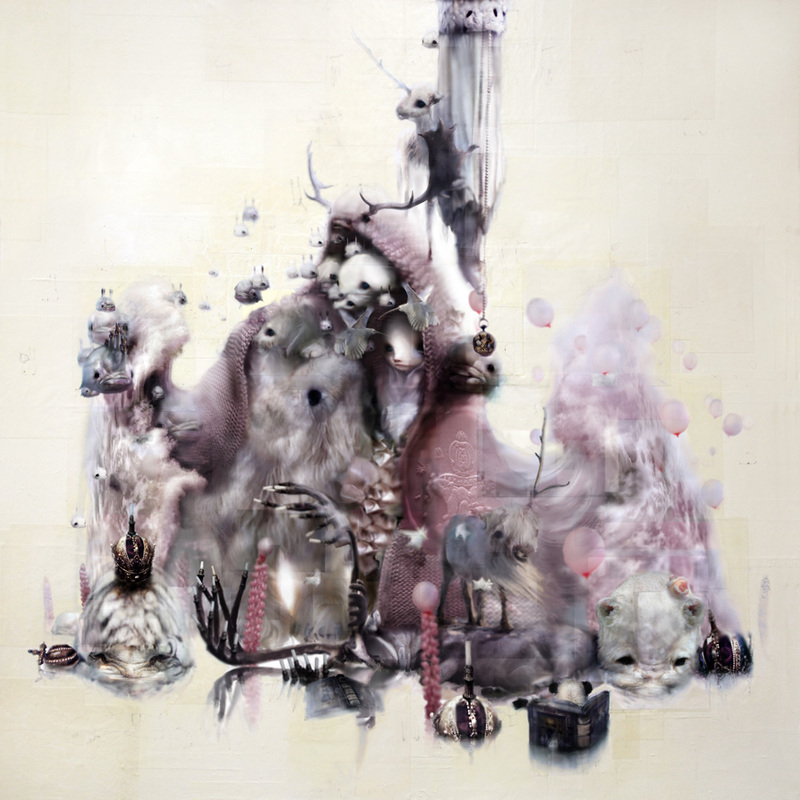 Tonight, the documentary Chris Berens: Master if his magical universe, will premiere. From February 20th it will show in theatres. For time schedules, please check your local movie theatre. On November 28th, Chris will hold a lecture about his work at art & antique fair PAN Amsterdam. Afterward he will guide a tour around the fair to show and talk about his inspirations. The tour will end at the Jaski stand, where Chris'work is exhibited. There will an informal meet&greet and booksigning. Kami Garcia talks about Lady Day, a Chris Berens painting that is mentioned in her forthcoming novel Unbreakable and how it inspired her. Unbreakable will be released on October 1st. Laura's Crossing is an animated movie clip based on the painting Pale Moon over Black Lake that Chris created for the L.A. show Fire Walk With Me, in celebration of Twin Peaks' 20th anniversary. Today, 3 new works of Chris will be shown at the private view of TEFAF (invitation only). TEFAF will be held from March 15th until March 24th. 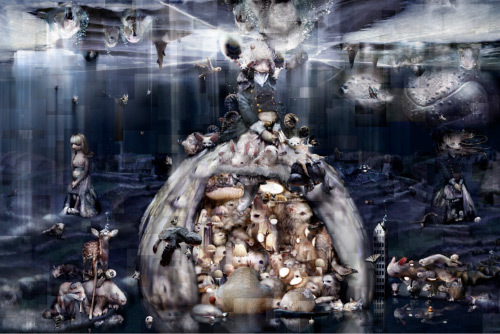 The making of the documentary Chris Berens, Master of his Magical Universe is in full swing! 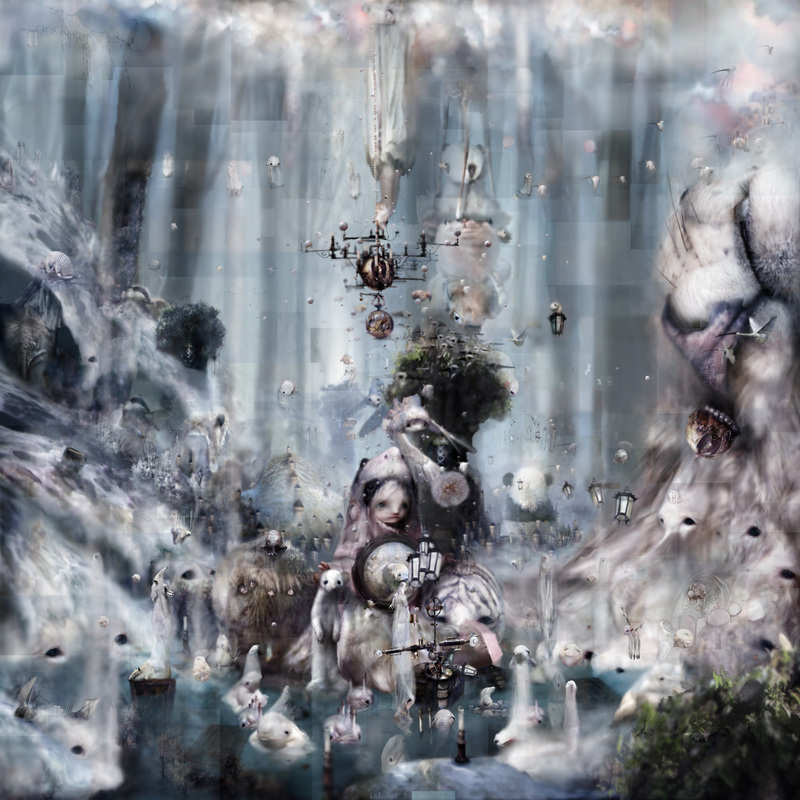 Today the promotional introduction film to the upcoming documentary about Chris Berens and his work went online. 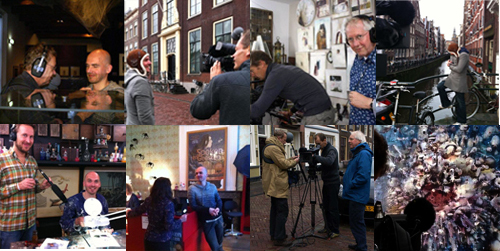 A big thank you to Stijn Brinkmann (camera), Steye (music) Studio Tween (animation) and of course RQG group for making the documentary. Chris is rounding up his preparations for his brand new solo show at his home town gallery. The show will open April 28th of 2012 and will last until May 20th. Beau van erven Dorens will officially open the show at 5pm. Chris is in Elegance magazine's line up of the 10 most promising artists of 2012. Click for the online article. Today the 25th edition of PAN Amsterdam opens its doors for private viewing. Jaski Art Gallery will present 3 new works by Chris' hand. PAN Amsterdam is open to the public from November 20th until the 27th. On Saturday September 10th the new book Mapping Infinity will be presented at 5pm by Ronald Ockhuysen, head of the arts department of the Dutch newspaper Het Parool. The book will also be presented in a limited edition of 50, containing an original drawing. 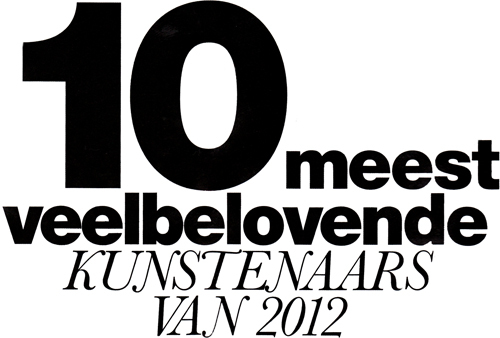 All of which will be exhibited from Saturday September 10th until Sunday September 25 at Jaski Art Gallery, Amsterdam. On august 3rd, a Dutch newspaper published an article about the Chris' roots in the south of the Netherlands, revealing the cover painting for his upcoming book, soon to be released. We are currently developping a new book, containing Chris' last four shows. Chris has created a new painting that will feature on the cover of the book. Both will be presented at Jaski Art Gallery in Amsterdam on September 10th. The book is designed by Delux Delicious Design and will be printed by Calff & Meischke. Debbie Harry dedicates Blondie's Amsterdam concert to Chris Berens. Blondie has released a line of merchandise after Chris' design for their upcoming album. On May 30th, the album will be released as a 'fan pack', mounted on a magazine entirely about the band, including 4 pages dedicaded to Chris and designing the cover. The magazine is on pre-sale here. For the second time Jaski Art Gallery courteously takes two of Chris' new works to this year's TEFAF (The European Fine Art Fair) in Maastricht, the Netherlands. The fair will have its private view on March 17th, officially opens on the 18th and runs until March 27th. Images of the works will be on display from March 17th, Please click on the details for full view. Call Me One is the new work for the Hi Fructose group show, that will be held at Roq La Rue, Seattle. running from March 11th until April 28th. 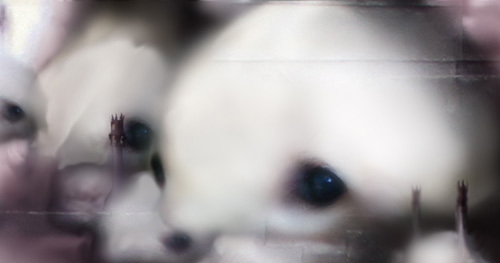 Click on the detail to see the full painting. The costume and wig designed for Blondie’s Ms. Harry for the UK Edangered Species Tour, are inspired by Chris’ painting Panic of Girls. 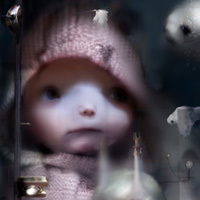 Roq La Rue, Seattle WA welcomes you to the new Chris Berens exhibition, entitled "Leeuwenhart". The show contains 32 new works, and reflect the carrying and recent birth of their daughter Emma. The opening will be held on October 22nd, in aqttendence of the artist and will run until December 5th. Born on May 10th, our daughter Emma Jósza Leeuwenhart Colaço Belmonte. Chris Stein and Deborah Harry, founders of the band Blondie have asked Chris Berens to design the cover fot the new album 'Panic of Girls', which will be released shortly. 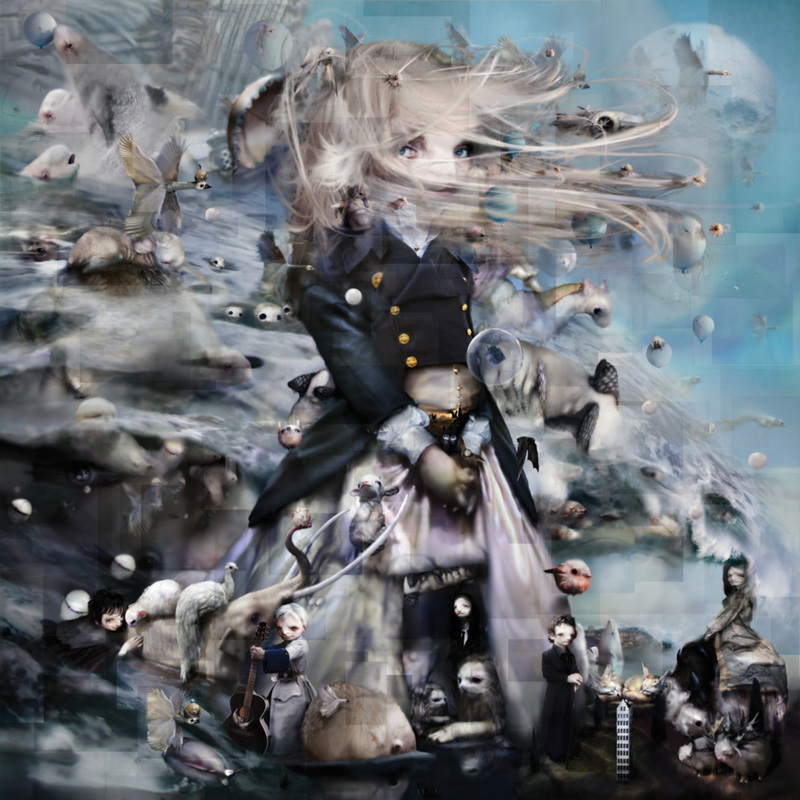 Featuring on Jaski’s stand of this year’s TEFAF (The European Fine Art Fair): Chris Berens’ The Sweet Surrender. The fair is held in Maastricht, the Netherlands and will open on March 21st and run until March 28th. Jaski Art Gallery has stand nr. 510. Sloan Fine Art is pleased to announce Chris’ first New York exhibit The Only Living Boy In New York. The exhibition will open on December 16th in attendence of the artis and his wife Eshter carrying precious cargo and will run until January 23rd, 2010. Today, on the day of the opening of The Only Living Boy In New York, the daily paper Het Parool published a large interview, written by Lorianne van Gelder, and photographs by Jan van Breda. One of the paintings from the Delicate series, will feature as the cover art on the upcoming new album of German singer Xavier Naidoo: Alles Kann Besser Werden. 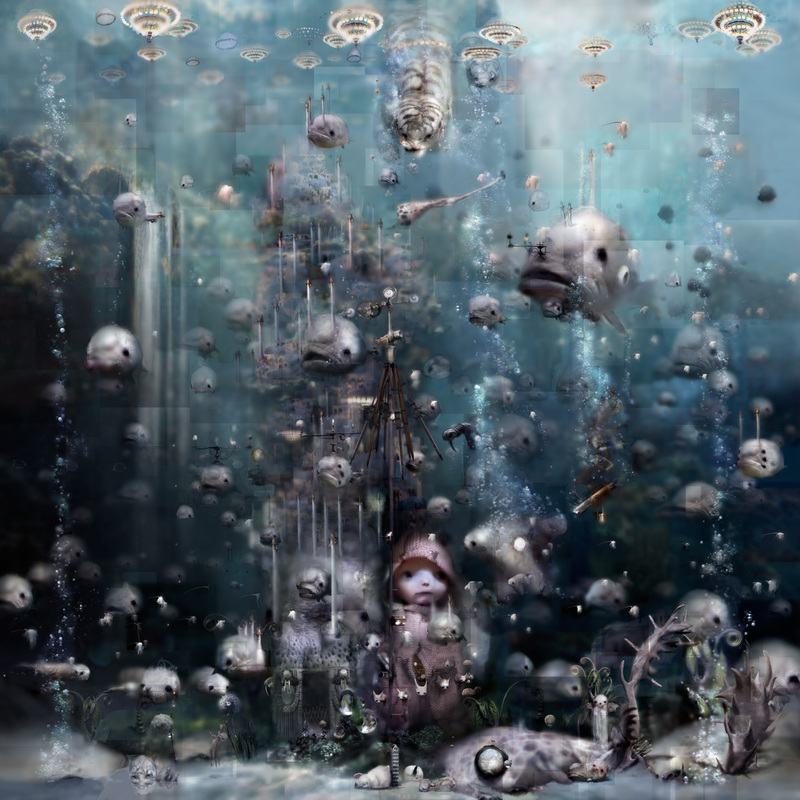 Available on August 21st is a new print by Chris Berens, entitled 'The Kiss (It all comes down to this)'. 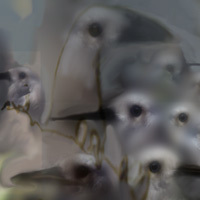 It is a gicleeprint, measures 54 by 54 centimeters with an edition of 45. Brad Keech of Pressure Printing, Denver, CO, is responsible for the creation of this unique print, which is embossed on the bottom side.